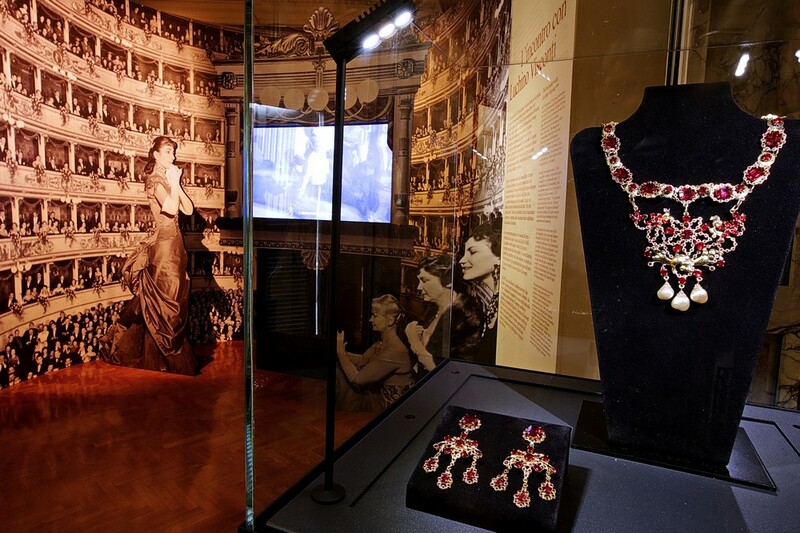 Maria Callas in scena – Gli anni alla Scala (Maria Callas on Stage – the La Scala Years) runs from 15 September to 31 January at La Scala’s museum, which is housed in the same building as the theatre. 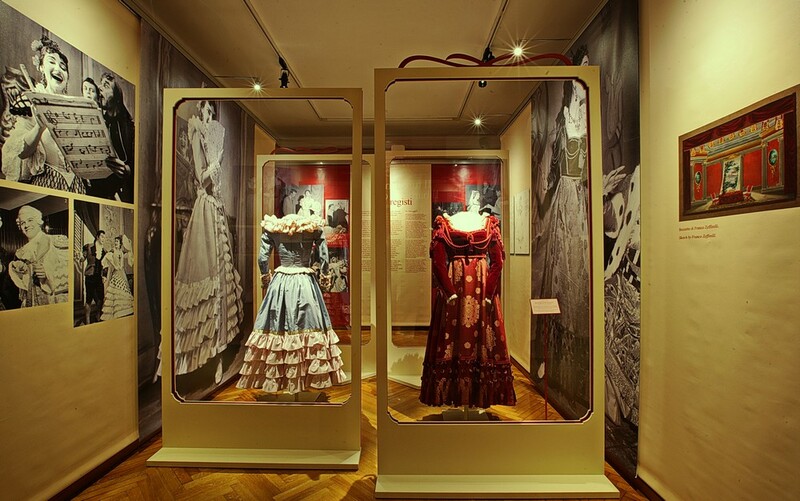 The Italian theatre designer, Margherita Palli, has overseen the exhibition which contains 14 of La Divina’s costumes, the necklace and earrings worn during the first act of Visconti’s production of La traviata, some of Lila de Nobili’s designs for the same production, and a reconstruction of the lost first act costume. 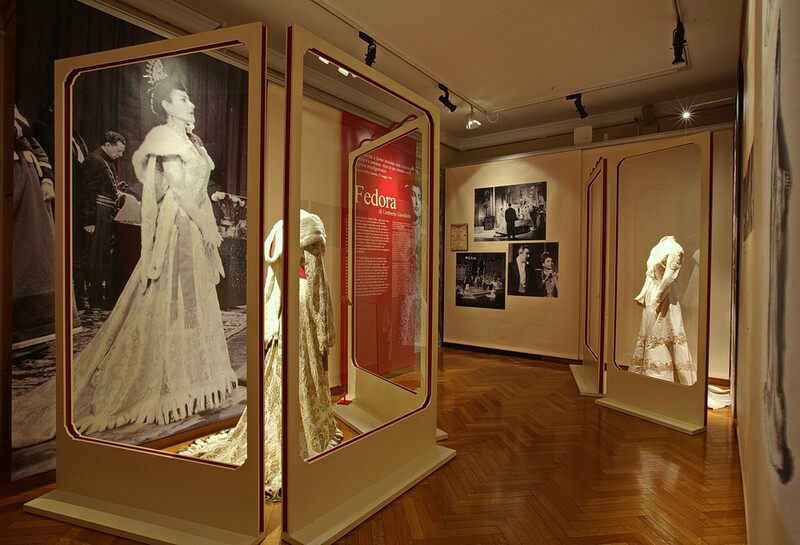 Maria Callas on Stage has many photos from La Scala archive, as well as reviews from the period. The newly remastered live recordings by Warner Classics accompany the visitor around the exhibition. Visconti was the most important director in her career. 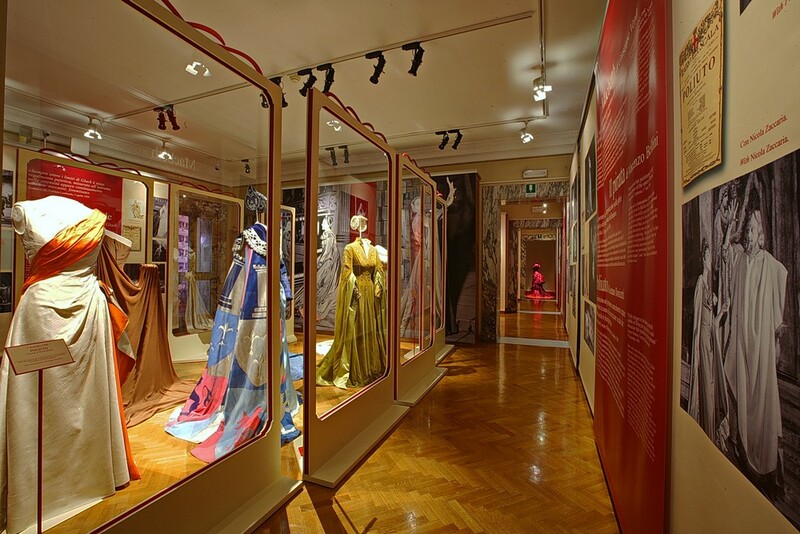 His first time directing opera was in 1954 when he directed Callas in La vestale at La Scala: that silk dress is the first exhibit displayed. They went on to work together on La sonnambula, La traviata, Anna Bolena, and Ifigenia in Tauride. 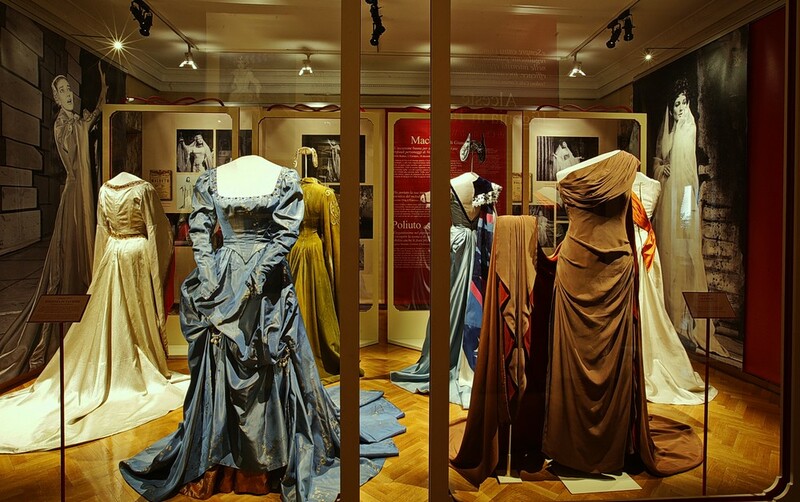 The costumes shown follow Callas slimming down to her Hollywood figure, and many were made by dressmakers in Milan’s renowned ateliers of the 1950s. 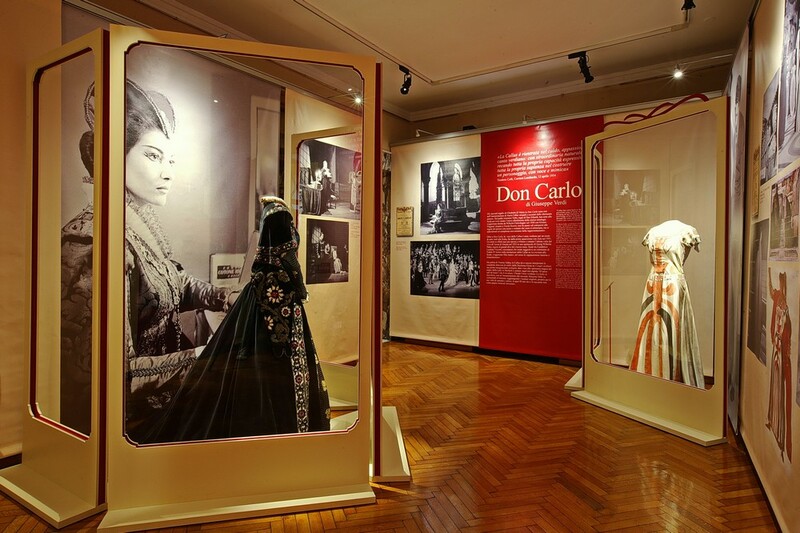 Aside from de Nobili, the who’s who of costume designers who created for La Callas includes Piero Tosi, Aleksandr and Nicola Benois, Leonor Fini, and Ebe Colciaghi, all revelling in the opportunity to design for a singer who wore their costumes like an actress; rare in the 1950s. ….freer, as the Greeks often are, because they come from despair. 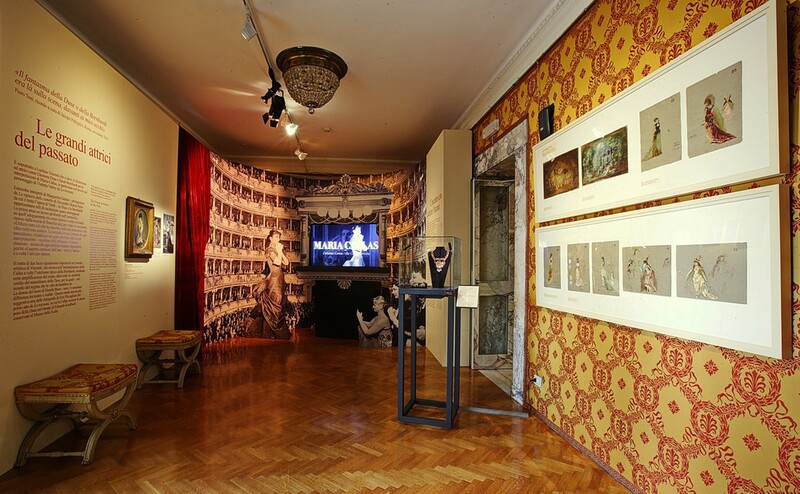 Beautiful exhibition. With your comments and the ability to “zoom” the photos, I feel as if I have been there. Thank you!